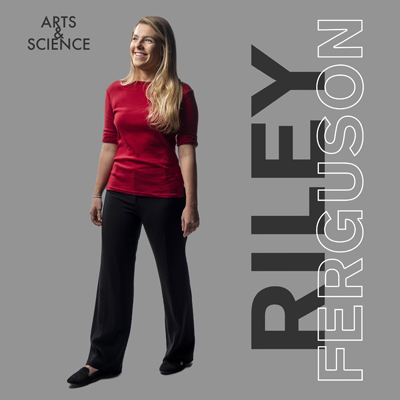 Riley Ferguson recalls a fateful meeting her freshman year, shortly after arriving on campus. The Lexington, Kentucky, native was an avid flyer—she first piloted a plane at 12, soloed at 16 and earned her pilot’s license at 17—though most of her high school classmates weren’t aware she spent her weekends above 7,000 feet. Now she was answering a Facebook query seeking Vanderbilt students who were pilots. When she met up at The Martha Rivers Ingram Commons with fellow freshmen Jack Murphy and Alexa Cordell to discuss flying, Ferguson felt an immediate kinship. That fall, the three founded AviaDORES, a campus organization with the mission of making aviation accessible to Vanderbilt students. The group hosts speakers from aviation-focused companies, facilitates a Redbird Jay flight simulator housed in Featheringill Hall, and regularly promotes Discovery Day flight events through Harmony Air, a Nashville flight school. Ferguson estimates more than 200 people have made their first flight through these events. What makes flying so special? Ferguson said one of her favorite Vanderbilt memories is renting a plane with Cordell—now, indeed, her best friend—to fly to the Vanderbilt football game against Notre Dame last fall. It was perfect weather that day from Nashville to South Bend. While Ferguson had to log countless hours in the air to get her pilot’s license, she has also put plenty of time in her academic studies. Beginning her sophomore year, the neuroscience major has spent around 1,400 hours in Professor Sandra Rosenthal’s lab pursuing quantum dot research for her honors thesis, which she defended last fall, earning highest honors. A second major in creative writing rounded out her college experience. She plans to attend medical school at the University of Cincinnati this fall. When she was 15, Ferguson traveled with her father, a physician and also a pilot, to Nepal for a medical mission treating the native Sherpa population suffering from high-altitude illness and other health concerns. She’s interested in researching hypoxia and other conditions affecting pilots in particular, such as the prolonged exposure to radiation incurred through frequent flights. Last summer she was one of two Americans to receive a prestigious Experimental Aircraft Association/Daher Intern Scholarship and spent five weeks at the Daher aircraft manufacturing facility in Tarbes, France, developing content for the company’s hypoxia training program. At the end of the internship, she attended the EAA’s annual gathering in Oshkosh, Wisconsin. There she had the opportunity to meet with a recruiter from NASA, who told Ferguson her experience as a pilot, as well as her Vanderbilt and medical degrees, would position her extremely well to become a mission control specialist.